Lillian F. Chleba, 94, of Beaver Falls (White Twp. ), passed into eternity Friday evening, April 8, 2016, at Beaver Valley Nursing and Rehabilitation Center with her family at her side. Born July 8, 1921, in New Brighton, she was the last of three children born to the late Adrian W. and Mary (Morgan) McGee. A homemaker, she was a member of Christ the Divine Teacher Catholic Church (now St. Monica’s Chippewa Site), a life member of the Ladies Auxiliary Military Order of the Purple Heart of the USA, holding offices on local and state levels, and was a volunteer at the Butler VA Hospital. In addition to her parents, she was preceded in death by her first husband, Vincent J. Monza Sr. and John A. Chleba; a brother, Adrian W. McGee Jr. and her sister, Margaret C. McGee; a sister-in-law, Elizabeth Crudden and a grandson, Timothy J. Brozich. Surviving are her daughter and son-in-law, Mary and Donald Brozich of White Twp. ; her son and daughter-in-law, Vincent J. Jr. and Dianne Monza of Tucson, AZ; a sister-in-law, Delores McGee of White Twp., and seven grandchildren, Dr. Thom Brozich, Donald P. (Doris) Brozich, Barbara (Jon) Denman, Beth (Tony) Omogrosso, Kathy (Tim) McCutcheon, Kerry (Bob) Jones and Christen (Kevin) Farnam. Also surviving are 14 great-grandchildren. Family and friends are welcome to attend her funeral mass on Wednesday, April 13th at 10 a.m. at St. Monica’s Chippewa Site, 116 Thorndale Dr., Beaver Falls, PA 15010. Fr. Kim J. Schreck will celebrate the mass. She will be laid to rest in the Beaver Falls Cemetery. 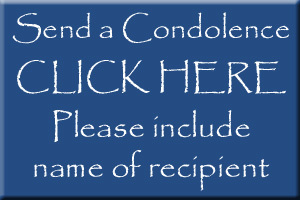 If desired, memorials in her name can be made to one’s favorite charity. The MCCONNELL FUNERAL HOME, 447 Pine St., Hookstown, PA 15050, is assisting the family.